My primary experience has been using the SAP Neo environment in the SAP Cloud Platform. 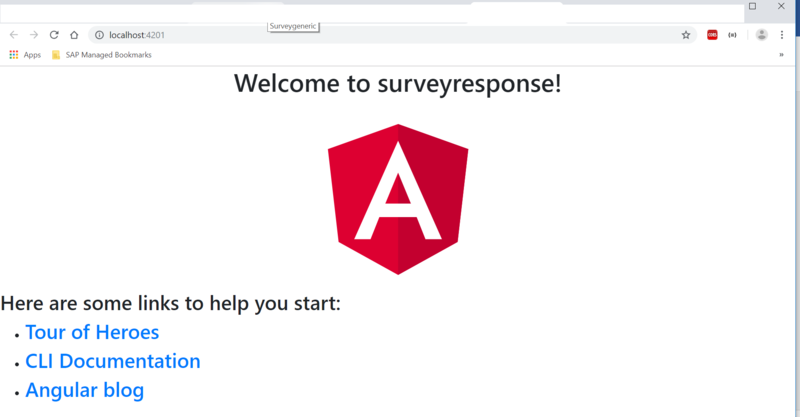 And this blog is aimed at reducing the efforts and time spent on deploying the angular app on Cloud platform. Angular cli is like a command line interface which is used to build the applications similar to NodeJS i.e., breaking them into modules. Since, everything is moving towards cloud-native development, we will see how to deploy Angular app on SAP Neo environment. 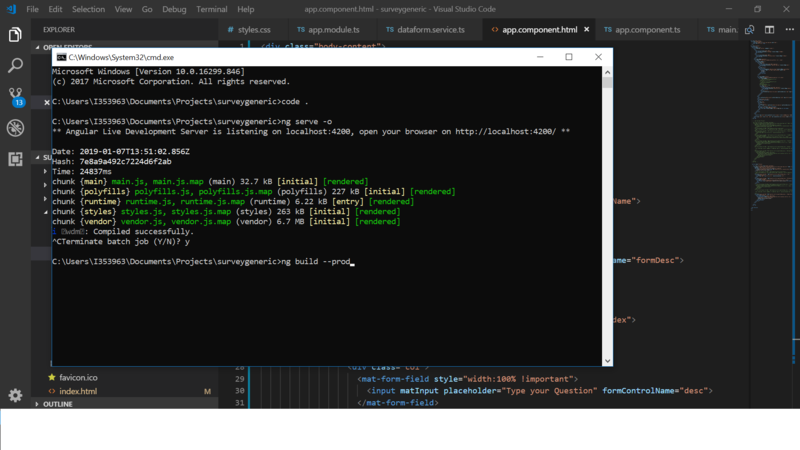 Create an angular cli app with “ng new app_name” command. 3. To run the app, write a command “ng serve -o”. For a simple deployment, we create a production build and image the result directory to a web server. 5. 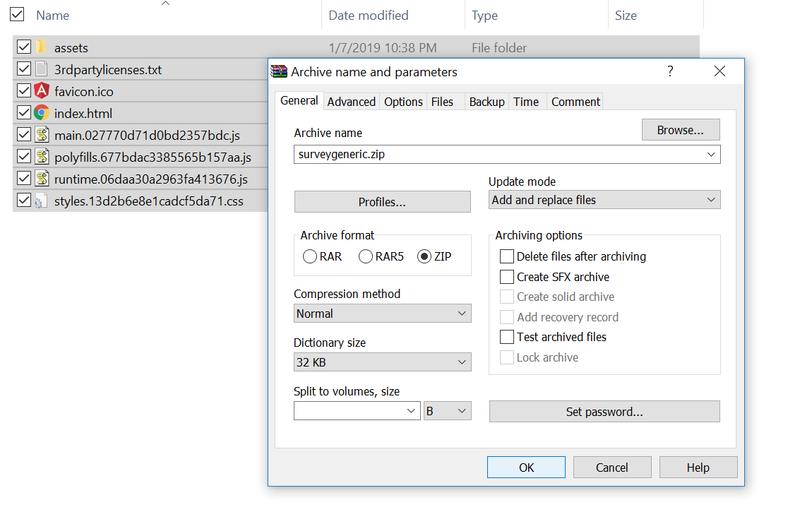 Select all and convert it into a zip file. 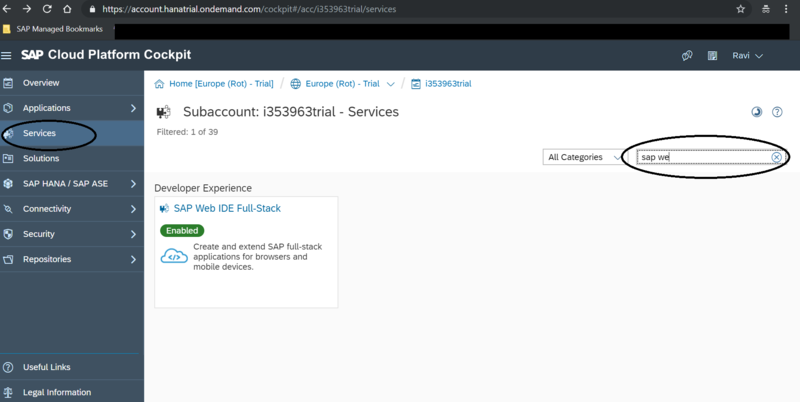 Open SAP Web IDE in your neo-account. Click on services (Left side menu). Type SAP Web IDE in search box and select. Click on go to services. 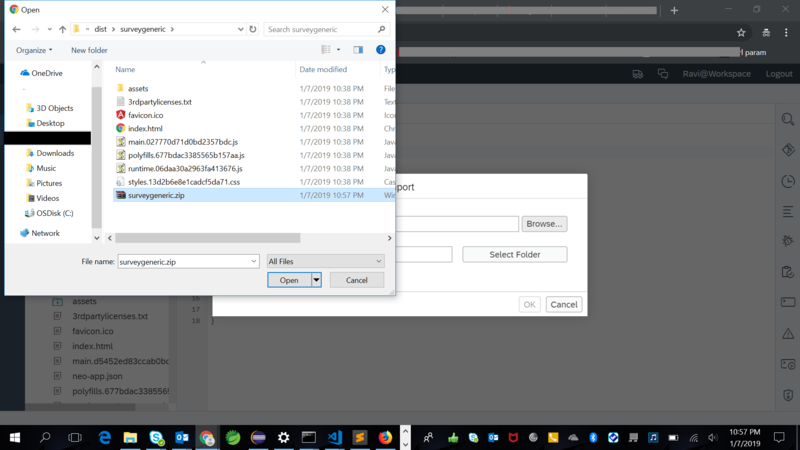 Import the zip file you created. 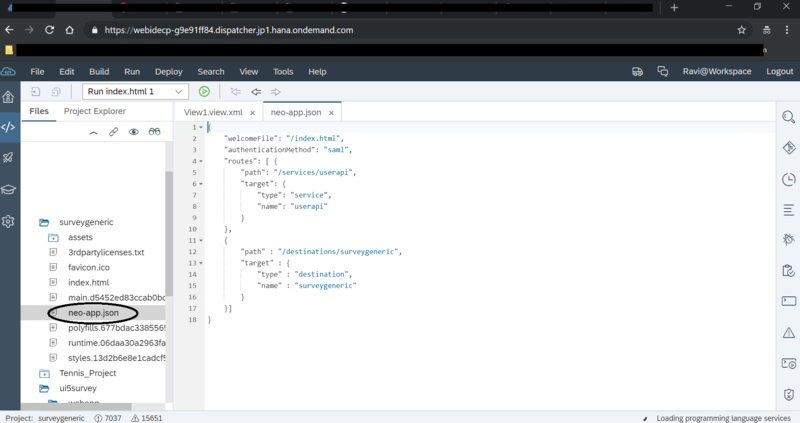 create a file file “neo-app.json in your web ide” It is an application descriptor file, in case you are using HANA services for backend API calls you can register your destination here. 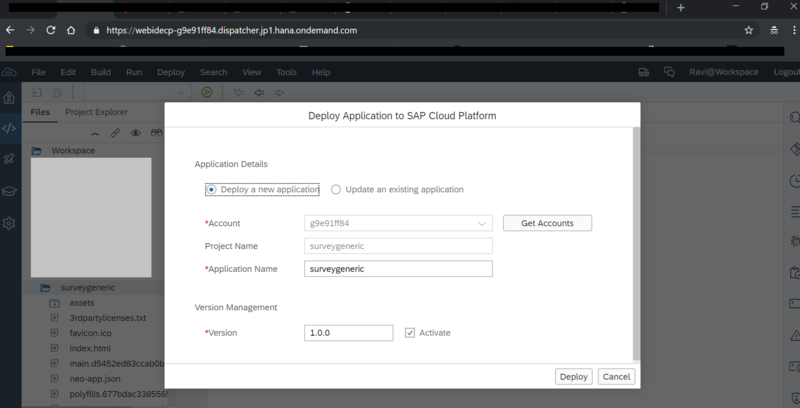 deploy -> deploy to SAP cloud platform. Now you will get a link where the app is deployed, and you see the application runs absolutely fine.